The Reax Ludlow Jacket shrugs off water with casual ease, delivering you from A to B through all the mayhem in between. Woven in a broken chevron twill that produces a unique herringbone texture, the outer shell feels lightweight but packs heavy-hitter protection. Whether adventure finds you in the foothills several states away or at the end of your block, the Ludlow City Jacket answers. I'll come back in a couple months and update this when I can comment on the durability. Definitely my favorite jacket out of the three that I now own. This jacket is super comfortable and incredibly well thought out. Every small detail has a purpose and I love that; it is simple but effective. I know lots of people want reflectivity but it doesn't have it, and everyone who buys it knows that... not going to lower the rating because of it. It definitely runs a bit big - I am 5'10" / 170lbs / 33" waist and a small fits me well. It looks a little short when I'm off the bike but fits my riding posture (FZ-07) perfectly and thats all I really car about. I am confident that a medium would also have probably fit me, but I like the sleeker look and a smaller jacket gives me more confidence that the armor will stay in place in event of a get off. Overall, definitely would recommend, $300 is honestly pretty cheap for a jacket of this quality. I couldn't be happier with my purchase. I was looking for style and protection. That's exactly what I got. 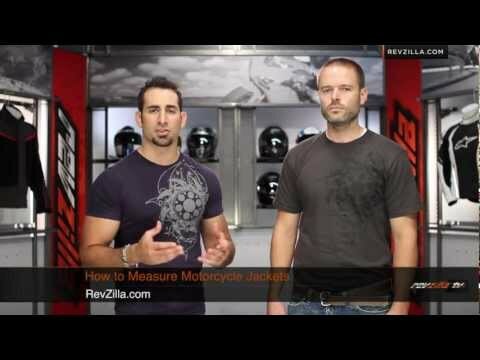 When I first saw the ads for the Reax line of gear from Revzilla, I thought it was cool, but I wasn't in the market for gear at the time. Fast forward to a couple of weeks ago, and you'll find a young squidling on a search for a new jacket. I had been looking for something with somewhat casual styling that doesn't make too many compromises for fashion, and the Ludlow is that. 'm a chubby 5' 9" Italian man (~220 pounds) who doesn't like to be squeezed around my fat storage area and left loose in the arms. The Ludlow in a size L fits me well and is as snug as an appropriately fitted moto jacket should be. It's a little loose in the elbows and I wished for cinches for adjustment, but I can live with it. As for finish? Fabulous. YKK zips everywhere, awesome herringbone pattern and leather trim around the neck. Good pockets and if needed, vents for air flow on hot days. Unlike other house brands (I'm looking at you, Sedici and Bilt), REAX is actually premium. For $299, it's a good deal. The designers at REAX and Revzilla are looking out for you, and it shows in their product. Well done. I wear it everyday and now I think I can finally start my IG modeling career thanks to this jacket. As they note, it does NOT come with a back protector so I added my own. I just got this jacket and I must say I'm very impressed. The outer shell is very sturdy and feels like it'll hold up likely in the event of an accident. It is also reassuring to know that there is SAS-TEC CE Level 2 armor in here because it is so comfortable that it feels like it'd be CE 1. The style of this jacket makes me very happy because it looks very casual unlike me sport jackets. Now I can walk around and not have everyone think I'm one of the power rangers. This jacket surprisingly flows a good amount of air once those vents are opened up. There are 1 in each arm and 2 on the chest. When in the riding position they open up wide and allow the cool air to flow right in. Of course it is not going to flow as much as something like the REAX Alta Mesh, but for a water resistant jacket that is not too bad. 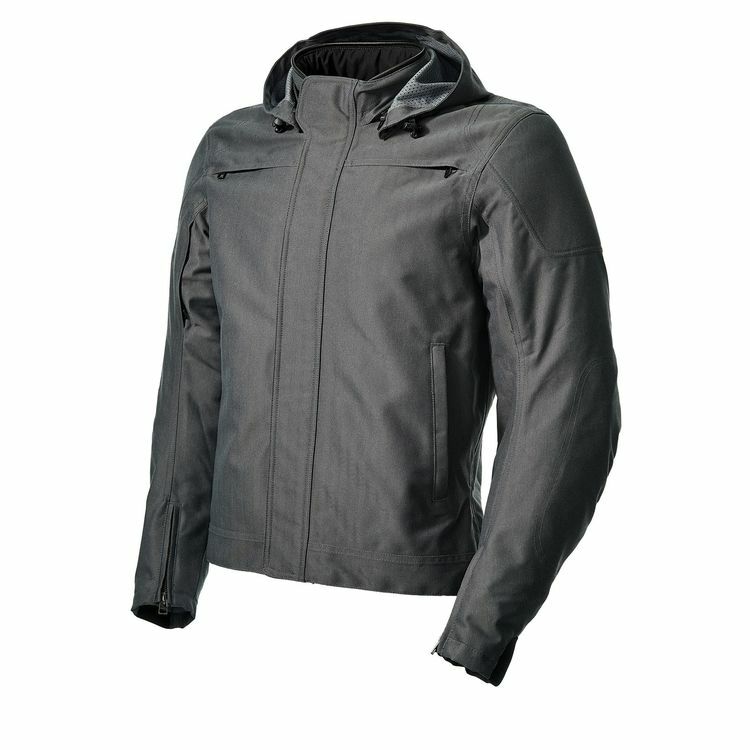 Overall this jacket has a nice tough build while maintaining the casual style that many riders are seeking out. I can't recommend this enough! Any chance that the jacket will be modified this year to have reflectivity? "Strategically taped" - Does this mean the jacket is waterproof and can handle an hour of rain, or not?